“Mr North has calculated there are now close to 1 million Australians on the edge of mortgage stress — defined by Digital Finance Analytics as borrowers who are going further into debt or eating into savings because their expenses are greater than their income. I hope every one of them ends up living in cardboard boxes. They ran up house prices for everyone: now let them reap the full consequences of their greed and financial irresponsibility. The link is dead on this one. Thanks for letting me know, I got it fixed. Oh, pray tell, why is this so? Bahahahaha …widedpread fudging of numbers means what? Outright lies, perhaps? It’s understandable because the people who are stressed out are people who have been proven go be quite stupid. He admits speculation drove the prices up for a long time and is still occurring even though prices are falling, but he isn’t worried at all. I can never really tell if these realtors are liars or are just completely incompetent. It doesn’t matter what you can tell or cannot tell; Their utterances are not targeted to you. Checked in at SeattleClownHouse and once again… The clown says prices are rising, inventory falling and demand sky high. Slap that clown upside the head with a serious lowball. Empty handed mortgage prisoner trapped in financial hell. It took about a year, but yeah, that’s what happened. Read that California? How many of you believe the bank knows more about your finances than you do? Point taken. Though for mortgage prisoners, device seems most appropos. People really are quite stupid. Exhibit A: A Blast from the Past (from 2008). That video = how to do just about every possible thing (financially) wrong. If you have flipping in any significant amount and duration, it always ends like this. buying on speculation always ends in tears. “Zanganeh isn’t worried either and thinks homeowners should see the rise in value as a good thing for the market. - Translation: My commission has been rising due to the housing bubble 2.0 is a good thing…for us realtors. - This time is different. thank god for equity cause I have some big bills to pay this month. Don’t you save money buying crow in bulk? It’s your equity, your money, and you have a right to it!! To outline his fears about the U.S. economy, Raghuram Rajan picked a tough crowd. It was August 2005, at an annual gathering of high-powered economists at Jackson Hole, Wyo. — and that year they were honoring Alan Greenspan. Mr. Greenspan, a giant of 20th-century economic policy, was about to retire as Federal Reserve chairman after presiding over a historic period of economic growth. He pointed to “credit-default swaps,” which act as insurance against bond defaults. He said insurers and others were generating big returns selling these swaps with the appearance of taking on little risk, even though the pain could be immense if defaults actually occurred. Two years later, that’s essentially what happened. Perhaps the largest economic disruption since the Depression, and virtually all of the big name economists were blissfully clueless. I reached a conclusion: Economics is predictive and speculative. It’s not a science, And profit-making right now will take priority over future predictions of harm, because there can always be some doubt. Something to keep in mind while listening to the august pronouncements. Missing something as massive as the 2008 Financial Crisis is something that really needs to be focused on, and considered. A nation of dummies, starting from the top and going all the way down . P.S. Anyone remember the concept of black swan theory? And the quants, anyone remember the quants? The quants, they had all the answers. Gosh, that’s a long time. What if I have to sell because I need the money? This is what they are about to discover in Orange County. You can actually build more of these things! Sure go to the moon, that just gives the builders more room to bury you in inventory. “It was late January 2010, and Treasury Secretary Timothy Geithner sat slumped in a leather chair as the afternoon sun cast shadows across his ornate corner office. He’d just gotten off the phone with Federal Reserve Chairman Ben Bernanke. The economy was, if not exactly healthy, light-years ahead of where it had been when he took the job a year earlier—a moment when the world teetered on the brink of another Great Depression. The financial contagion had been halted. Growth had returned. The stock market was 10 months into a bull run that continues to this day. Another word for “Old Testament justice” is “justice”. It sounds crazy to the PTB, but while they’re furiously redistributing purchasing power, maybe a measure of fairness and justice in the redistribution might be socially beneficial. Crazy thought I know. Economics not being a morality play and all, per Krugman. The problem is that the FIRE sector elites have discovered a way to subvert the system, to extract vast wealth from the society, without actually creating things that people value. When it blows up, the government (and the Fed does what the government wants) just makes them whole by having one of its arms (the Fed) covertly extract purchasing power and give it to the FIRE sector elites. Remember the vast bonuses Wall Streeters got immediately after the Financial Crisis? Darkly amusing. The “Cleaners” vs “Leaners” debate at the Fed (should the Fed try to intervene if it detects danger (”lean”) or just clean up after it blows up (”lean”)). So yeah. Let’s just call it “justice” and “fairness” and they would be good goals to strive for. Another part of the problem is property taxes and the fact that local governments NEED that money. When prices fall, the local governments are in a world of hurt because they have to lower tax assessments. They never save for a rainy day because if they run a surplus then they can’t ask for more money, which they do every year. They have a “we need to spend all this money” mentality. It’s disgusting. I have heard first hand reports of the county saying that they need to hire people and give raises to spend that money now because they won’t have it in the future and they know it. They want to assume as much financial risk as possible, which is the opposite of how a government should run. But the people running it are gaming the system. It’s not much different for the Feds, especially the DoD. You’re punished for coming in under budget. Geithner qualified it in order to downplay the relevance to the Fed’s financial wealth redistribution decisions. Nobody up there talks about moral hazard anymore. Let’s see who Trump picks to replace Smelly Mel. Maybe we’ll get a real person instead of a crony (doubtful). I feel like all this “wealth effect” stuff is a little like fractional reserve banking - making people think they have all this money that’s not there. It works until there’s a run. In that AEI interview with Bernanke, he agreed with the interviewer that the wealth effect was about four cents on the dollar. Wonder what the negative is when that perceived dollar disappears. The last time the Vegas market was hot was right before the Boise market crashed. I’m boots on the ground in Boise. Lots of out of state license plates but this time around a lot more older cars with decals and plates from California, Nevada, Oregon and Washington. So refugees rather than equity locusts? I like that. Housing refugees escaping the damage caused by cheap credit and relaxed regulation. Realtor team busted for manipulating MLS data. But according to the article it is so common for realtors to manipulate the data that it’s hard to make a legit case against this one. It’s tough to convict attractive ladies with connections. At trial, Eber acknowledged as much. “We didn’t think it was wrong,” she said during her court testimony. If the For Lease signs in front of every San Diego office complex are any indication, then it is easy to see why those returns are so low. No tenants, no returns. #1 San Francisco-Redwood City-South San Francisco, Calif.
#2 San Jose-Sunnyvale-Santa Clara, Calif.
#7 Los Angeles-Long Beach-Glendale, Calif.
Looks like 6 out of 10 metros are in California. What a relief to know that San Diego is not on the ee-bola risk list! No Las Vegas, even though last time it devolved into the US foreclosure capitol? We have previously discussed the disgraceful system of medical billing in this country where doctors and hospitals hit patients with grossly inflated bills in the hopes of coercing money from families or settling for a small fraction with insurers. This is not a bug of the US healthcare market, it’s a feature. “Prices will rise to whatever the market will bear.” To Rosenthal, that’s the answer to Scalia’s question. The health care market doesn’t work like other markets because “what the market will bear” is vastly greater than what a well-functioning market should bear. As Rosenthal describes American health care, it’s not really a market; it’s more like a protection racket — tolerated only because so many different institutions are chipping in to cover the extortionary bill and because, ultimately, it’s our lives that are on the line. What would a realtor do if he found out a pair of agents were egregiously manipulating MLS data to make their numbers look better? He would extort the hell out of them of course. What is the standard response from a realtor to a charge of data manipulation? We didn’t know it was wrong. 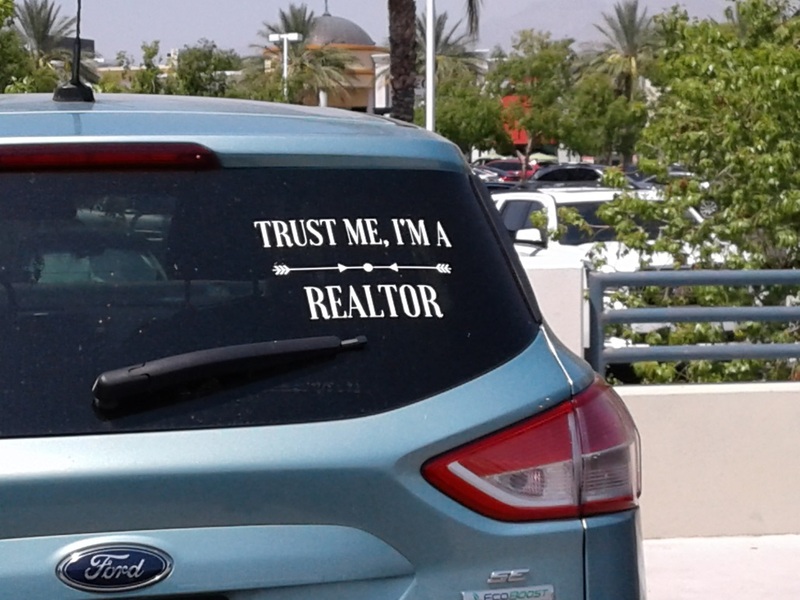 We are realtors. Isn’t that what everyone does? The longer a trend persists the closer to the top it gets. The closer to the top it gets the greater grows the risk. The greater the risk the greater should be the caution. As I was reading this I couldn’t help but think of Taleb’s book Antifragile, so it was perfectly appropriate that Mauldin himself referenced this book. The article also echos some themes in Gladwell’s The Tipping Point and the Gaussian copula (probability theory). Personally I think having a 30-year mortgage is to supremely neglect the idea that Hyman Minsky is putting forward (stability leads to instability). Who can project 30 years into the future? How can one make accurate predictions of what the local, state, national economy will look like in 10, 20, or 30 years? What about the ups and downs in one’s personal fortunes and how will that impact the ability to service debt? This is why the 20% down was required long ago. It was a buffer to smooth out the vicissitudes of life. But with 3% down, there is no longer any semblance of protection against the shocks that are the growing red sand piles. What if a protracted period of stability is exacerbated by central planners offering an implicit guarantee of bailouts in case of bad luck at the gambling casino. Wouldn’t that be a form of moral hazard that heightens the level of foolish risk taking by gamblers who realize that they have nothing to lose if their bets head south? “Mortgage prisoner”: another term cropping up with increasing frequency. Banks are pretending to want to help these debt donkeys refinance, but since so many of them lied on their mortgage applications to get up on that property ladder, no relief is going to be forthcoming, especially with interest rates rising. Good news, Australian mortgage prisoners: more rate hikes are on the way. Oh wait - that’s good news for savers, not debt donkeys. +1 The classic squeeze of interest rates and energy prices rising. I think we need to discuss WeWork……its simply staggering what they are gobbling up now the Freedom Tower…. With the Oligopoly media treating us to a never-ending story of the passing of valiant hero and so-faux “maverick” Sen. John McCain, a reality check is in order for this rabid neocon stooge of the banksters and globalists. Pretty soon u will have to finance your utility bills. These folks are a huge monopoly. If battery prices keep coming down, someday rooftop solar + battery will make it economically feasible to just go off grid completely. Not to interrupt the discussion, just checking to see if comments are posting OK.